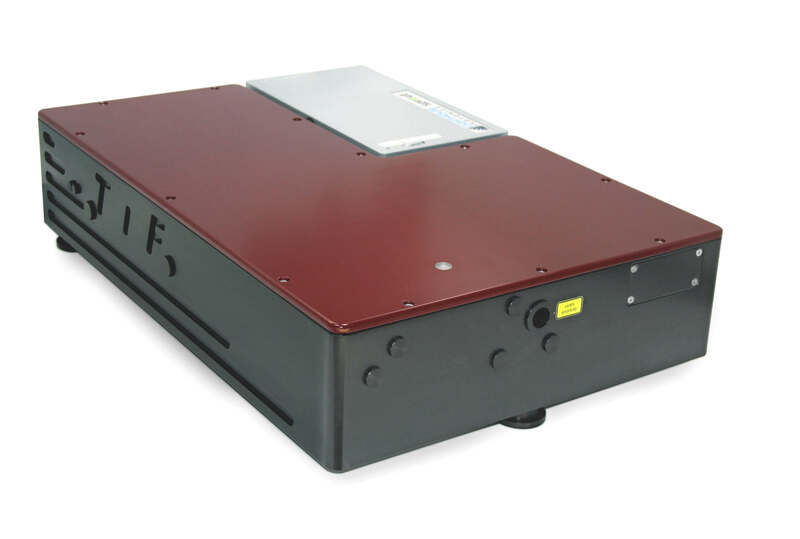 The TiF-100 Ti:Sapphire Femtosecond Solid-State Oscillator laser system offers the highest average power and the broadest tuning range in the TiF laser family. The unit is a flexible tool suitable for numerous applications and can really be a workhorse for many different projects going on simultaneously. The system can be supplied in two basic configurations: the TiF-100, being a stand-alone version for pumping with an external pump laser; or the TiF-100F system which may be integrated with an industry-standard pump laser on site or at our factory. However, the dimensions of the Ti:S laser head are the same for either version, the stand-alone version may later be fitted with an integrated pump laser at minimum additional cost. The acceptable pump laser power for the TiF-100/TiF-100F is up to 10 Watts. See tuning curves in the datasheet for output power vs. wavelength dependence. An external prism pair or a tunable pulse compressor (model APC) for dispersion pre-compensation is also available. The TiF-50 Ti:Sapphire Femtosecond Solid-State Oscillator laser system offers a balanced approach: less than 50-fs pulse duration over a broad tuning range. The unit is a flexible tool suitable for numerous applications and can really be a workhorse for many different projects going on simultaneously. The system can be supplied in two basic configurations: the TiF-50, being a stand-alone version for pumping with an external pump laser; or the TiF-50F system which may be integrated with an industry-standard pump laser on site or at our factory. However, the dimensions of the Ti:S laser head are the same for either version, the stand-alone version may later be fitted with an integrated pump laser at minimum additional cost. The acceptable pump laser power for the TiF-50/TiF-50F is up to 8 W. See tuning curves for output power vs. wavelength dependence. The system also can be equipped with an optional birefringent filter and optional etalons providing narrowband tunable CW regime over the whole tuning range. 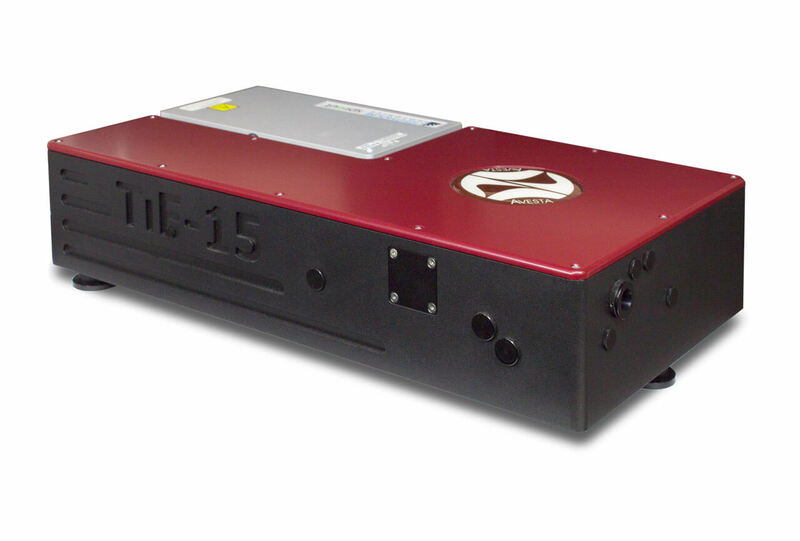 The TiF-15 Ti:Sapphire Femtosecond Solid-State Oscillator laser system offers the shortest available pulse duration in the TiF family of Ti:S femtosecond laser oscillators. It is a robust tool for cutting-edge ultrafast research. The system can be supplied in two basic versions: the TiF-15, being a stand-alone version for pumping with an external pump laser; or the TiF-15F system which may be integrated with an industry-standard pump laser on site or at our factory. However, the dimensions of the Ti:S laser head are the same for either version, the stand-alone version may later be fitted with an integrated pump laser at minimum additional cost. The acceptable pump laser power for the TiF-15/TiF-15F is up to 4 W.
The system is designed to operate 24/7 as a seed oscillator for our larger amplifier systems and thus inherits all the stability-enhancing design features. The system may be supplied pre-tuned to one of the two available configurations, with all the components inside the box being the same.